One of Long Beach’s least-discussed affordable housing developments—the five-story, 95-unit mixed-use project dubbed The Spark—will officially break ground Wednesday, March 20. The five-story building will feature 47 one-bedroom, 24 two-bedroom and 24 three-bedroom units; half of those units will be dedicated to families and persons who have experienced homelessness while the other half will be set aside for families earning up to 60 percent of the area’s median income. Located at 1900 Long Beach Blvd., just north of Pacific Coast Highway, The Spark is one of many transit-oriented housing projects coming online in the city, joining projects like The Beacon, which is currently under construction. More than just a housing complex, The Spark aims to be an epicenter of culture and connection for its tenants. On top of a community room with computer lab, a community garden and bike amenities, it features a partnership between the Los Angeles County Department of Health Services and the developer, LINC Housing. That link is intended to help those whose experiences of living on the streets remain fresh. The 47 formerly homeless households will have access to intensive case management services with private meeting rooms on the property. The estimated price of the design collaboration between City Fabrick, D33 Design & Planning, and WHA Architects has gone up to $52.6 million from $41.4 million; $1.62 million of that total came from Supervisor Janice Hahn while another $3 million came from the city’s Long Beach Community Investment Company. It was entitled in October of 2017. 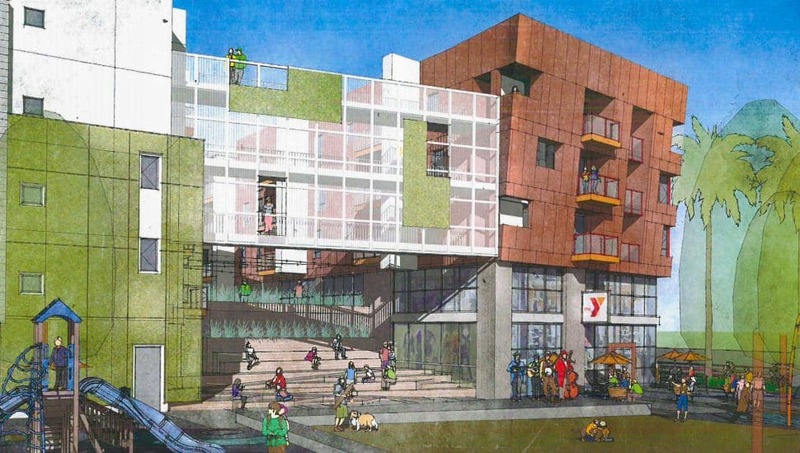 Additionally, The ground floor space will house the YMCA of Greater Long Beach Youth Institute program, the Mental Health America of Los Angeles café for workforce training and a Dignity Health St. Mary Medical Center clinic. The Spark is due to be completed in late 2020.